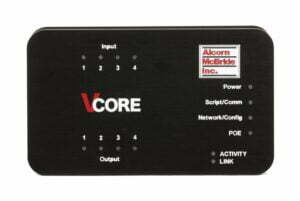 ShowTouch can control and monitor Ethernet-enabled Alcorn McBride show controllers such as the V16X. It comes preloaded with everything needed to build a graphical user interface. Configuration is easy using Touch right in WinScript Live. With just a few touches, you can set a security unlock code, upload the script running on the show controller and start designing a graphical interface with the included graphics library. The same Touch software that runs on ShowTouch can be used on any PC running Windows and is compatible with WinScript Live! 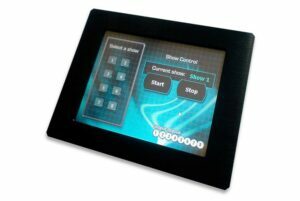 The show controller script and interface can be designed and built before ever reaching the project site. 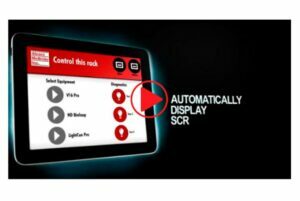 The graphical interface software that runs on our Show Touch will also run on any Windows PC, and it’s free! Touch is available as part of WinScriptLive.